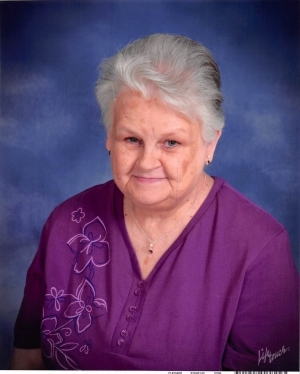 Charlotte May, age 74, of Waynesburg, Kentucky, passed away Thursday, September 6, 2018 in Burnside, Kentucky. Born Sunday, August 20, 1944 in Chicago, Illinois, she was the daughter of the late Charles and Helen Carlson Miller. She was the widow of the late Eugene May whom preceded her in death on February 3, 2002. Charlotte was a member Parlor Grove Baptist Church. Charlotte leaves behind two sons, Stephen May (Anita) of Burnside, and Brian May of Waynesburg; two daughters, Laura May of Waynesburg, and Christie Bryant of Liberty, Kentucky; three grandchildren, Laken Coleman (Michael) of Eubank, Kentucky, Kira May and Steven May both of Burnside; three great grandchildren, Hayden Coleman, Brody Coleman and Georgia Coleman all of Eubank; one brother, Charles Miller Jr. of Illinois; one sister, Alice DeBoard of Illinois; several nieces, nephews and many extended family members who mourn her passing. In addition to her husband and parents, she was preceded in death by one grandchild; Kenny Richards. A Funeral Service will be held 1:00PM Monday, September 10, 2018 at Barnett, Demrow & Friend Funeral Home with Bro. Greg Lockard officiating the service. Burial will follow in Pilot Cemetery. Tony Cress, Charlie Rice, Jeff Martin, Chris May, Rodney May, and Patrick Mullins will serve as Active Pallbearers. The Visitation will be held 11AM-1PM Monday at the funeral home. Barnett, Demrow & Friend Funeral Home, Waynesburg, is entrusted with Charlotte’s arrangements. Guest Book at www.friendfuneralhomes.